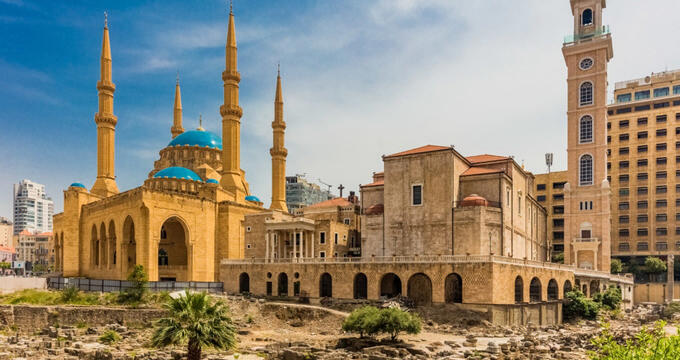 Travelers from all over the Middle East and Europe head to Lebanon and its capital of Beirut in droves, attracted by its Mediterranean coastline, rugged and scenic mountains, and world-famous cuisine. 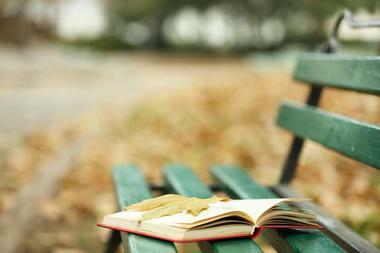 The city offers a temperate climate, plenty of rich historical and cultural offerings. Beirut is jam-packed with fascinating places to visit and exceptionally fun things to do, such as a visit to the Archaeological Museum of the American University of Beirut, a ski trip to the Mzaar Ski Resort, or a day of exploration at the Jeita Grotto. 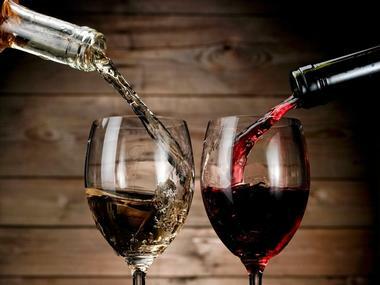 ADYAR (Monasteries in Arabic) is a group of monasteries that produce world-renowned selections of wine from their hillside estates around Beirut, Lebanon. Unlike other wines, ADYAR estates provide the right blend of natural components and climate to deliver the perfect terroirs. The wineries and vineyards are located in several different regions of Lebanon’s territories, including Chouf, Metn, Jbeil, and Batroun. The grapes are grown in regions where they can reach optimum physiological maturity, naturally producing consistent wines. Each bottle that has been produced carries an authentic Lebanese Maronite Order Cross logo, identifying where the grapes were grown and cultivated, and which monastery the wine came from. The Archaeological Museum of the American University of Beirut is an archaeological museum that is located in Beirut, Lebanon. It is recognized as the third-oldest museum within the region east of Cairo and Constantinople. The museum was founded in 1868, and is a significant regional museum that houses impressive collections from seven different nations, including Iran, Iraq, Palestine, Egypt, Cyprus, Syria, and Lebanon. The museum closed for renovations in 1999, and was re-opened to the public upon completion in 2006. Visitors can arrange guided tours with a prior request, otherwise they can enjoy complimentary audio guides found at the museum’s entrance desk. 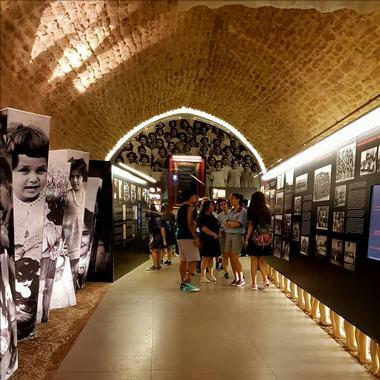 The Armenian Genocide Orphans “Aram Bezikian” Museum is a museum that is located within the ancient city of Byblos, Lebanon, near a 12th century citadel. The museum is a site of memory, for promoting the common principles and values of humanity: respect for human dignity and human rights, friendship and tolerance, and peaceful coexistence. Visitors will find three different exhibits featured at the museum to explore; the first depicts the Armenian genocide by the Ottoman Turkish government; the second dramatizes the roles of western missionaries and non-governmental organizations who helped resettle surviving orphans within the Middle East, particularly Lebanon; and the third exhibits the settlement and rehabilitation of orphans into their new homes in Lebanon. 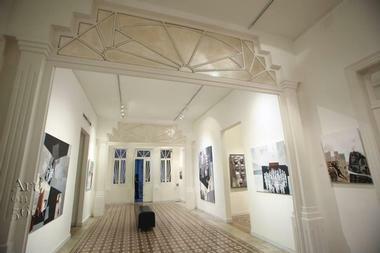 Art on 56th is an independent art gallery that is located on Youssef El Hayek in Beirut, Lebanon. In 2012, the gallery is founded by Noha Wadi Moharram, rooted in Gemmayzeh – the capital’s vibrant cultural and artistic neighborhood. On top of presenting a roster of talented local artists to international audiences, the gallery has made it its mission to promote both emerging and established contemporary artists from around the Middle East and beyond. It results in an exchange that highlights the powerful message of creativity and images within a society. Art on 56th exhibits artworks from a variety of media, including drawings, paintings, sculptures, video installations, and photography. 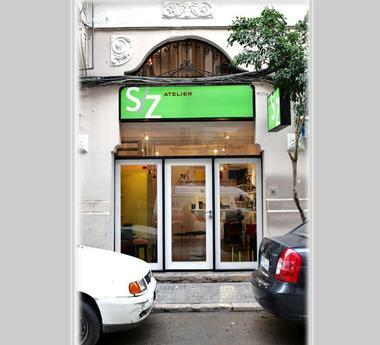 Atelier S/Z is a charming craft store that is located in the center of Beirut, Lebanon. The store is the manifestation of two very dynamic designers, Ziad Abillama and Sibylle Tamer. Since 2002, the two have challenged each-other’s creativity, pushing their designs further and further. Each one of them have brought a number of successful products to the shelves for visitors to enjoy. The store is quaint and inviting, providing a cozy, intimate environment for shoppers to enjoy. The store is packed with a number of must-have items, from sophisticated candlesticks to unique bowls to one-of-a-kind lighting fixtures, visitors will find original pieces they more than likely wouldn’t find anywhere else in the world. 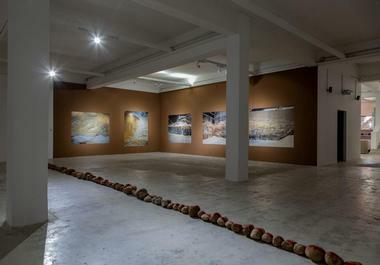 The Beirut Art Center is a modern space for presenting contemporary works of art in Beirut, Lebanon. This non-profit association and platform is dedicated to discovering and exhibiting new, experimental art within the city. The goal of the center is to present, produce, and contextualize international and local art, as well as cultural practices, within a space that remains open to the public all year long – without requiring entrance fees. Beyond the main exhibition space, the BAC also features spaces for meetings and discussions, an auditorium, a large collection of films, a terrace, and a bookstore. The center is a must-visit for those exploring Beirut for the first time. 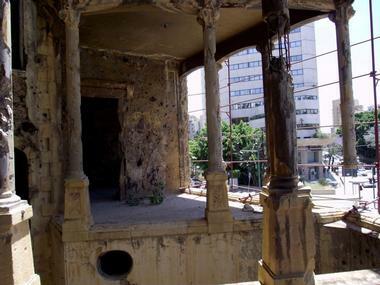 Beit Beirut is an urban cultural center and museum that celebrates the history of Beirut, Lebanon, namely its civil war. Locals and visitors will find the cultural center situated within the restored Barakat structure, also recognized as the “Yellow House,” which is a historic landmark that was designed by Youssef Aftimus. It is located at the crossroads of Independence and Damascus Streets. The ochre-colored sandstone that was used for the construction of the building is where the nickname “Yellow House” came from. Visitors will find beautiful courtyards, fine iron work, and roof terrace that provides breathtaking views over the city. Bookyard is a place where readers can buy and sell books from each-other at a seasonal book market in Byblos, Lebanon. Often moving around within the city, these book markets are always set up outside, connecting the readers more deeply with the Beirut’s natural surroundings. 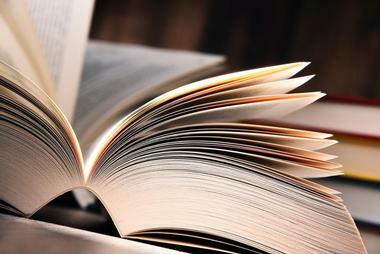 Bookyard specializes in buying rare and used books in all types of fields, from large collections to single volumes. Book lovers will also find plenty of Vintage Reads, covering a variety of different subjects that include politics, religion, science, literature, philosophy, ethics, children’s books, and much more. People visiting Beirut for the first time will want to add this unique experience to their itinerary. Bsous Silk Museum is a fascinating silk museum that is located in the small town of Bsous, Lebanon, approximately 15 kilometers east of Beirut. The museum was originally owned by the Fayad family, who used the structure as a prominent silk factory between the years of 1901 and 1954. After temporarily being occupied in 1990 by the Syrian Army, the structure’s ownership was transferred back to the original owners, who transformed it into the museum it is today. 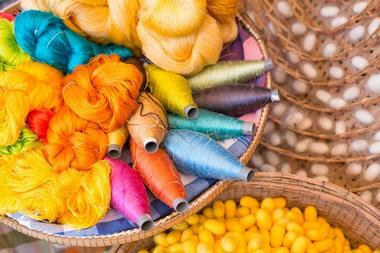 The museum highlights the rich history and traditions of silk production in Lebanon. There museum features a plethora of items made from silk for visitors to explore, and children under the age of four receive free admission. Dar El-Nimer for Arts and Culture is a non-profit, independent art foundation for modern, contemporary, and historical productions from Beirut, Lebanon and beyond. The center promotes deep intellectual, historical, and cultural awareness by hosting marvelous productions by filmmakers, performers, historians, writers, curators, and artists, whose works engage the challenging political currents and social realities that are shaping the region. The center has the additional responsibility of housing the El-Nimer Collection, the private art collection belonging to the founder. There are three different kinds of exhibitions displayed at the center, all of which can be viewed by guided tour. Visitors will see collection highlights that include textiles, armor, ceramics, maps, paintings, manuscripts, jewelry, and photographs. The Grand Serail, also recognized as the Government Palace, is the official headquarters of the Prime Minister of Lebanon. The structure is located on top of a hill within downtown Beirut, just a few block from the Lebanese Parliament. It’s a historic structure, as well as the most important and prominent of the three Ottoman monuments located on Serail Hill. The building’s importance was earned though successive roles that it has held since 1832. Visitors will only be able to admire the building from its exterior, as it is surrounded with soldiers, barricades, and razor wire – due to being an active government building. The Jeita Grotto consists of interconnected, but separate, karstic limestone caves that span a total length of approximately nine kilometers. Locals and visitors will find this cave system situate within the Nahr al-Kalb Valley, in the locality of Jeita, about 18 kilometers north of Beirut – the capital of Lebanon. This natural wonder has been formed over many thousands of years. The two sections are made up of the Upper and Lower grottos; the upper grotto features beautiful stone that forms draperies, mushrooms, columns, and curtains; while the lower grotto offers views of otherworldly concretions. 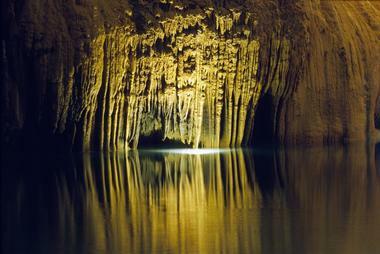 Visitors can also enjoy a boat ride that is offered in the lower grotto. 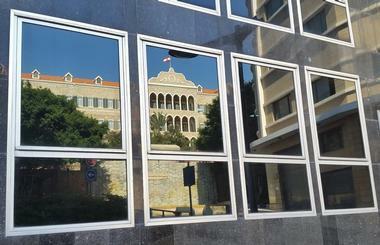 The Mim Museum is an impressive, private museum that is situated along Damascus Road in Beirut, Lebanon. This private museum displays over 2000 minerals from 450 different species that have been collected from 70 countries. This private collection of minerals is considered to be one of the largest, and most significant collections found in the world. Minerals are beautiful works of art that have been created naturally over billions of years; they feature fabulous color palettes, incredible geometric shapes, and breathtaking aesthetics. 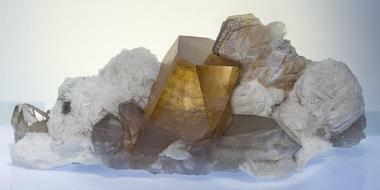 Visitors will be able to see and photograph thousands of unique and beautiful minerals, some of which include Hematite, Gypsum, Elbaite, Calcite, Vivianite, and Quartz. 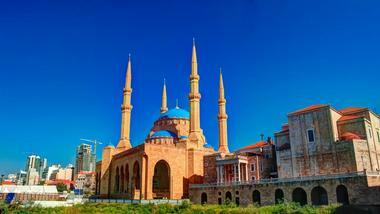 The Mohammad Al-Amin Mosque, a sacred Muslim mosque, is situated in Beirut’s downtown Martyr’s Square. Locals sometimes refer to it as the ‘Blue Mosque’, because of the blue-colored domes that are featured on its roof. Building began in 2002 and the project was completed in 2007. It was overseen by the Lebanese Prime Minister during that time, Rafik Hariri, who was later buried beside it. The mosque was inaugurated by the former Prime Minister’s son, Saad Hariri, on October 17th of 2008. Inside, visitors will find marvelous and intricate details that include decorative paintings and ornamentations (calligraphy, patina, wood and stone imitations, and gilding). The Museum of Lebanese Prehistory is an intriguing museum of archaeology and prehistory that is located along St Joseph University Avenue in Beirut, Lebanon. Since first opening its doors in the year of 2000, the museum has aimed to highlight major themes of Prehistory, particularly those within Lebanon and the Middle East. The stone tools occupy privileged places within the permanent exhibition, based on the use of a thematic approach. 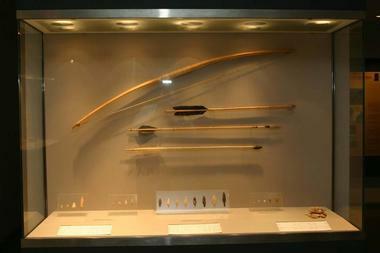 Visitors will have the opportunity to follow the prehistoric tool’s successive stages though reconstructions and models, showcases, and panels. The domestication of various animal species and invention of agriculture during the Neolithic time period, are important themes in the museum’s exhibitions, due to their importance within the Middle East. 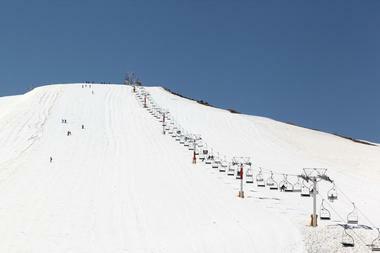 Mzaar Ski Resort is a world-class ski resort that is located in Kfardebian, Lebanon, and is well-known for being the largest ski resort in the Middle East. The resort has continued its legacy of ski culture, high-energy on the mountain, and an infectious spirit for adventure, driving tourists and locals to call the place home. Beyond the 25 chairlifts around the park, 50 unique runs, and 100 kilometers of skiable terrain, the Mzaar Ski Resort also features a vibrant entertainment scene with numerous restaurants, shopping boutiques, and boisterous bars. Whether traveling here as a family, couple, or solo traveler, visitors will find no shortage of fun and exciting experiences to enjoy. The National Museum of Beirut is a principle museum for archaeology that is located in Beirut, Lebanon. 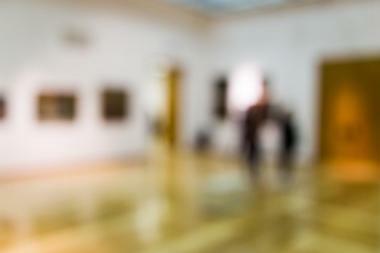 The collection of artifacts began after World War I, and in 1942, the museum officially opened to the public. The museum houses collections that total approximately 100,000 artifacts, which are mostly medieval finds and antiquities found during excavations that were undertaken by the Directorate General of Antiquities. There are about 1300 artifacts that are exhibited, ranging from the Prehistoric Times to the Medieval Mamluk period. Visitors will have the chance to check out a plethora of ancient artifacts, some of which include the Gilded Bronze Statuette of Phoenician Divinity Reshep, Byblos; the Tyre Phoenician Necropolis Stela; and the Sarcophagus of King Ahiram Byblos. Planet Discovery is a science museum and learning center that features interactive astronomy, physics, and biology exhibits. 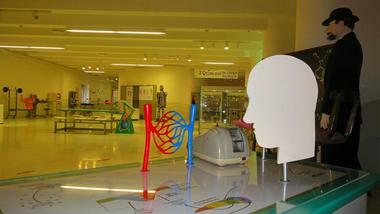 Founded in 1999, Planet Discover is the city’s only permanent science museum for children. The museum offers hands-on edutainment and learning opportunities for youth of all ages through diverse experiences. It also serves as a dynamic, innovative space that helps provide education to children by widening their scientific acumen in an entertaining and attractive atmosphere. The museum aims to challenge the mental and physical abilities of kids aged three and older. Children will absolutely love Planet Discovery, especially with so much entertainment around every corner. Rene Moawad Garden, also known as the Sanayeh Garden, is a sprawling garden complex and park that is located within the Sanayeh district of Beirut, Lebanon. The garden represents one of the capital’s oldest, open-air, public spaces. The garden’s creation was ordered in 1907, during the World War I time period, under the direction of the Commander of the Turkish Sixth Army, Khalil Pasha. Locals and visitors will find that the garden is an idyllic place for unwinding with Mother Nature, or relaxing near the park’s historic water fountain. The garden also features specialized bicycle tracks, shock-absorbing jogging lanes, three children’s playgrounds, and stretching bars. The Roman Baths are ancient bath ruins that remain under excavation, located in the heart of downtown Beirut, Lebanon, between Capuchin Street and Banks Street. These Roman bath remains are now surrounded by several Lebanese government buildings. One section of the excavated baths is currently used as a space for public performances. Visitors can wander between several well-landscaped terraces and look out over the once bustling bathing areas. They can also study the remains of what used to be a full-functional, underground heating system for the baths. Once a social meeting place for the public, the Roman Baths still attract tourists and locals alike, who gather to amble through the landmark’s Mediterranean medicinal plant garden, or watch performances. Sioufi Garden Ashrafieh is a sprawling, lush-green, public garden that is located along Sioufi Road in Beirut, Lebanon. From the park, locals and visitors can enjoy spectacular views of the Beirut River, Avenue President Emile Lahoud, and the summit peaks of Mount Lebanon. 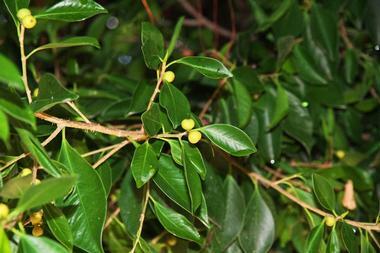 The garden’s total area measures to approximately 20,000 square meters. The garden features a lovely playground, restrooms, public benches, sculptures of Lebanese artists, and complimentary Wi-Fi. Visitors will also have the chance to check out the garden’s beautiful public art. In 1997, Ashkal Alwan – The Lebanese Association for Plastic Arts, partnered with the Lebanese Ministry of Culture, to collaborate with ten artists and install permanent works of art in the Sioufi Garden. Souk El Tayeb is a vibrant and bustling farmer’s market that is situated off of El Moutran Avenue in Beirut, Lebanon. The people, the land, the food, the history, and the traditions all underpin the current existence of Souk El Tayeb. It has evolved since its beginning in 2004 from a small, experimental farmer’s market that promotes small-scale producers and farmers, to a large organization that works on both, international and domestic projects to preserve and promote rural heritage, the natural environment, and culinary traditions. 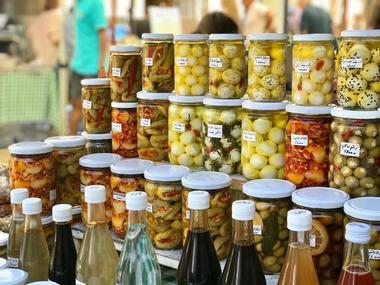 At the market, visitors will find various products that include locally grown fruits and vegetables, traditional local cuisines, traditional crafts, and homemade mouneh. 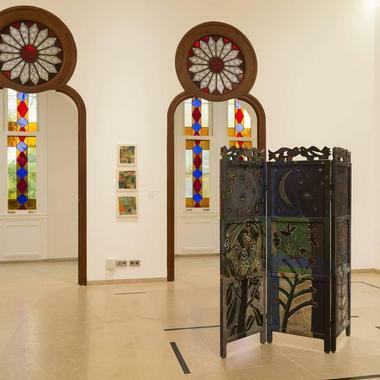 The Sursock Museum, officially recognized as the Nicolas Ibrahim Sursock Museum, is a contemporary and modern art museum that is located on Greek Orthodox Archbishopric Street in Beirut, Lebanon. First opening its doors in 1961, the museum has since had a mission of collecting, preserving, and exhibiting international and local art. Sursock features over 10 new exhibitions each year, ranging from solo shows produced by emerging artists to thematic group shows. The museum also features diverse public programs that include screenings, talks, and family workshops. Sursock aims to provide the community with a platform for experimentation and encounter for ideas and art; to challenge and inform different communities and audiences in new and untraditional ways. Built in 1860, Sursock Palace is an opulent mansion and historical landmark that is situated off of Greek Orthodox Archbishopric Street in Beirut, Lebanon. 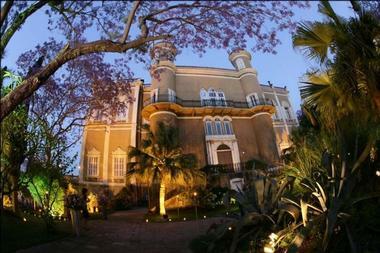 It was recognized as one of the grandest, and certainly one of the largest private palaces in the capital city of Beirut. It was one of the finest examples of architecture to survive intact from that time period. The palace is surrounded by several open lush-green spaces, beautiful fountains and sculptures, and well-manicured gardens. These beautiful gardens are open to the public starting from the middle of April through to the middle of November. The gardens are the palace’s main attraction, and are regularly rented out for celebrations and private events. 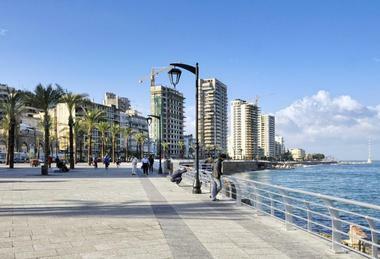 The Corniche is a renowned seaside promenade that is situated along the shimmering Mediterranean within the Beirut Central District of Beirut, Lebanon. The waterfront esplanade is lined with lush-green palm trees, hotels, cafés, and restaurants. Beyond the ocean views, visitors will have breathtaking views of Mount Lebanon’s summits, as well as Pigeon Rock. Just north of Pigeon Rock, visitors will see the old Ferris Wheel, which is still in operation to this day. The Corniche is an idyllic location for a variety of recreational activities, such as roller skating, cycling, running, walking, and other types of exercise; there are also several excellent pole fishing spots.